Why did you pick your terrier puppy? Because it won’t make you sneeze or wheeze? Because it had a rep for being smart and feisty? Or because you didn’t want to fix your broken doorbell? If you got a terrier mainly because it’s a small, hypoallergenic breed you may have gotten more than you bargained for. I, for one, got great “value-added” for my dog investment dollar. Respect yourself and respect others who respect themselves. Terrorize everyone else. Keep the Terrier “You’re-Not-The-Boss-of-Me” Motto in mind. If it moves, get it. If it scares you, GET IT. If it scares your human companion, GET IT. Your desires are directly proportional to your human’s. The more your human wants something, the more you should want it. Tune into every thought and feeling your human companion has. Terriers are way more than small, cute and hypoallergenic dogs. They’re empathetic and intense dogs with strong prey drives. They can be reactive, determined and indefatigable. So, before you get a terrier puppy know what you’re really getting into. Prioritize your needs and theirs. 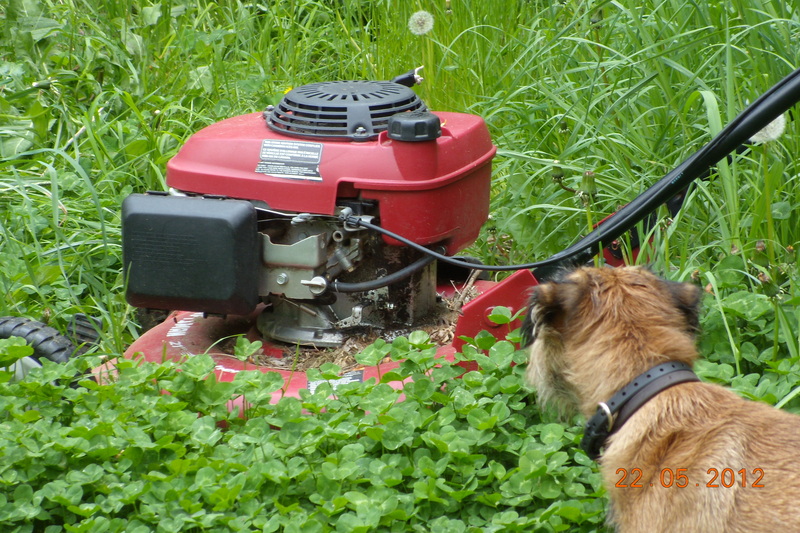 Terriers respond best to self-respecting, calm human companions who honour their independent, hunting natures. Be realistic about how your personality will mesh with–or fuel–theirs. If you chose a terrier puppy and are having some challenges, be optimistic. If you can change, they can change. Match your dog’s persistence. And consider these 12 Rules of Terrier Logic and how they might be playing out in your relationship. Doing so might help get you through The Rough. If you “own” a terrier and have him all figured out, congratulations. Please add your Rules of Terrier Logic so we can share in your success. 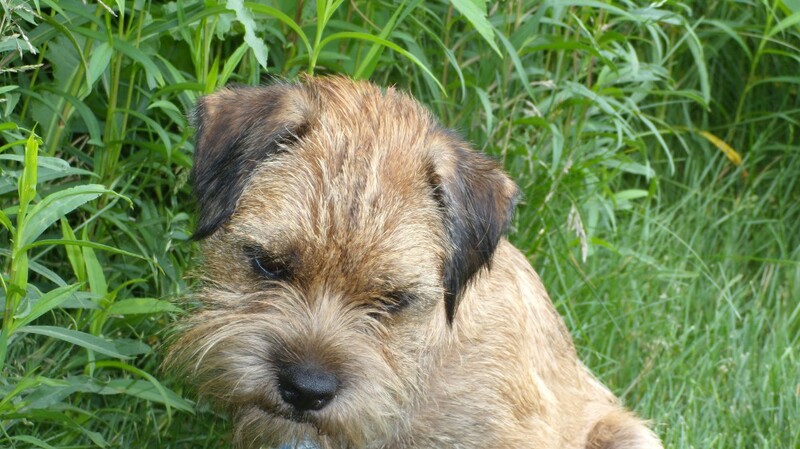 This entry was posted in Behaviour, Terrier Logic and tagged Border Terrier, hypo-allergic dogs, hypoallergenic dogs, lifestyle, non-allergic dogs, non-shedding dogs, personal growth, terrier behaviour, Terrier Logic, terrier puppies by Toni. Bookmark the permalink. how hard is it to really, really get a border terrier/schnauzer rescue pup who is 1yr 7mo old adapted to home life with 3 cats? any advice? my last schnauzer rescue i had no issues with when i got him home he adapted with no problems with my other dog i had at the time and then we eventually brought home a feral 5ish week home kitten and then a little while later a 6 week home kitten and had no issues.